Ekal Vidyalaya Foundation organized a scintillating dance and music show—Aditi Bhagwat’s ‘Kaafila’ - A Bollywood Caravan – at the Berkmar High School, on Saturday, March 31,2018. Ekal, a 501(c) (3) tax-exempt non-profit entity has been working since 1986 in neglected rural and tribal areas to eradicate illiteracy. It operates and supports innovative, single teacher non-formal schools for underserved communities, providing free basic education, healthcare, vocational training and empowering them. With support from 42 United States’ chapters and others in Australia, Canada, Dubai, New Zealand, United Kingdom, and Nepal, Ekal is changing the lives of over 1.8 million children, almost equal number of boys and girls, through 67000 schools operating successfully from Kashmir to Kerala in India. The well attended program was graced by Consul General of India, Hon.Nagesh Singh and many dignitaries from the Indian community. 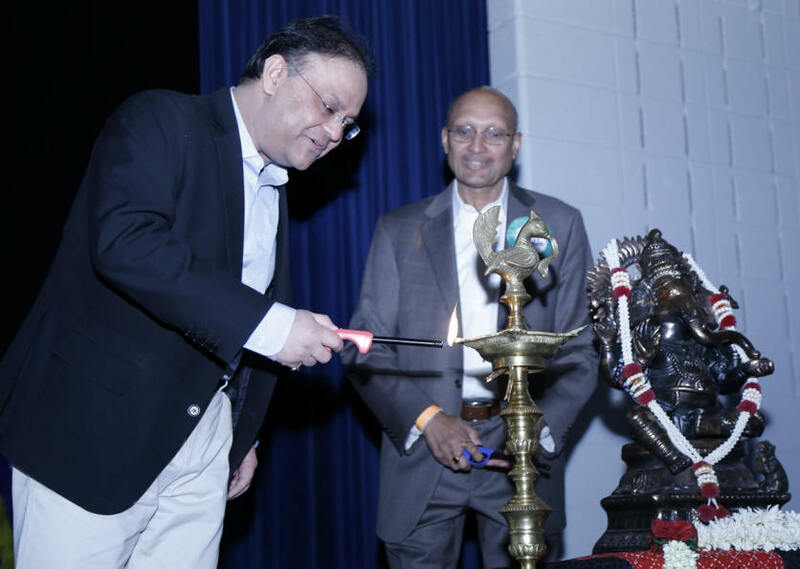 After a full course delicious dinner, the riveting show started promptly at 7pm with lighting of the lamp by Hon.Nagesh Singh and Shiv Aggarwal.Mr.Nagesh Singh then expressed inspiring remarks about the occasion. 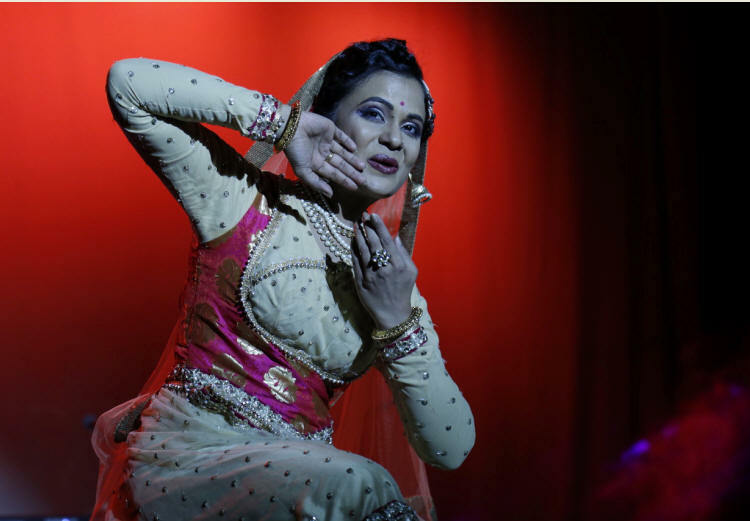 The internationally acclaimed danseuse Aditi Bhagwat is a Kathak, Odissi and Lavani exponent, who has given many performances both in India and abroad and has always explored collaborations with other disciplines like jazz, ballet, filmi and Flamenco. In Kaafila she brought to life the intricate cultural fabric of India, its diversity, culture, and music as depicted on the glittering silver screen by Bollywood. Kaafila means a convoy or Kaarvaan, which has found a way in the English language as the word ‘caravan’. 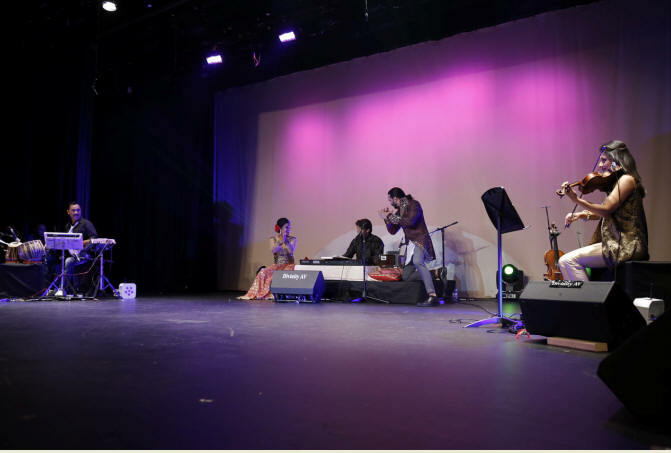 The program was emceed with flair by Preeti Tanwar.Aditi Bhagwat and Kunal Tavri, who has trained in India and Spain, presented an enthralling mix of dances, including some from Indian cinema, some vintage items from old black and white movies, classical Kathak, qawaalis and even a Kathak - Flamenco jugalbandi. 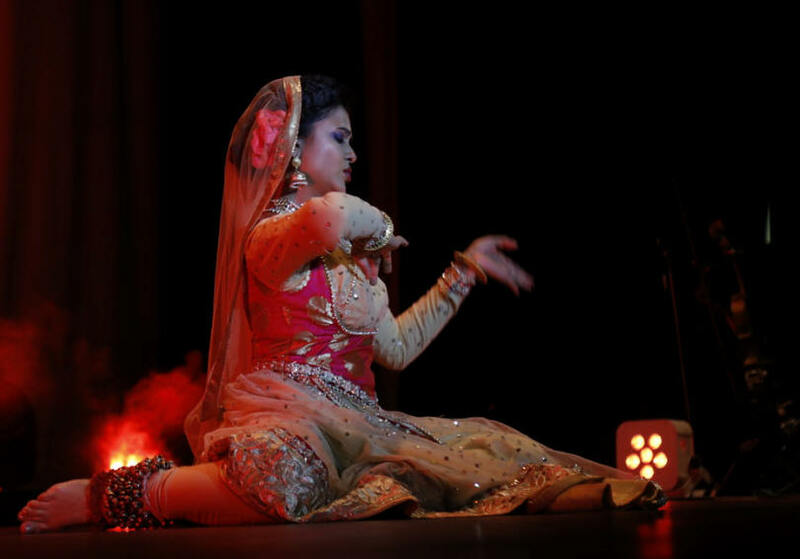 Aditi brought the flavor of the Mughal court, where this art form found royal patronage, by performing captivating Kathak pieces from Bollywood classic films Pakeeza and Umrao Jaan, attired in a very colorful and elegant costume. 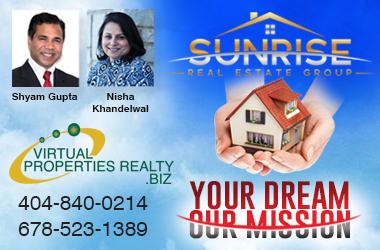 The auditorium reverberated to the rousing applause of the audience after each presentation. 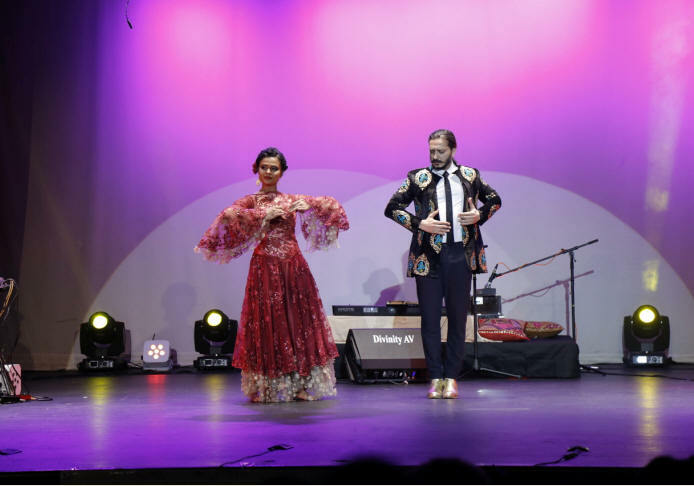 The special and new standout dance of the show was Kathak blended with the Spanish tune of the song “Señorita”. Strategically placed floor microphones augmented the listening pleasure of the handclaps, finger snaps and the rhythmic thumps of the tap dance in Kunal Tavri’s hypnotic Flamenco dance. The harmony of the melody, beats and expressive use of the arms was awesome.Aditi’s narration informed the audience about the Romani people or the gypsies as the link between Rajasthan and Spain. Singer Suranjan Khandalkar, who is well versed with ghazals, bhajans, thumri and film music rendered classical and semi-classical melodies, and also expertly played the harmonium and keyboard. 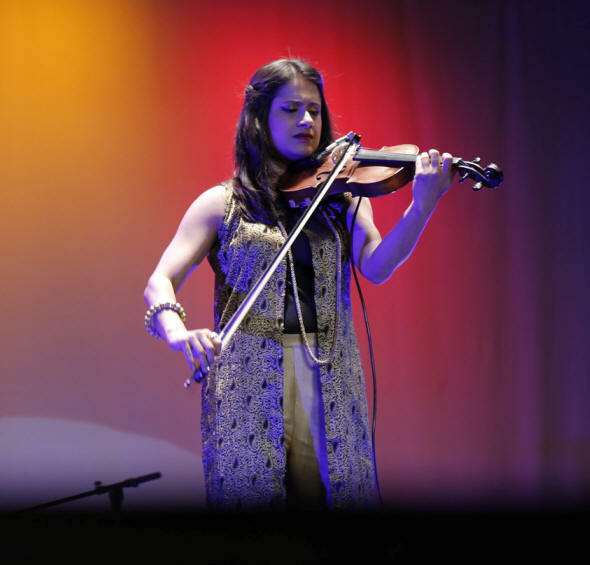 A first for Ekal’s Atlanta stage was violinist and vocalist Shruti Bhave who carved popular and traditional melodies from her violin for the dancers to perform to. Master of Rhythm, Kantha Das also showed his commendable versatility as a premier percussionist playing the Cajon, Drums, Dholaki, Tabla and Octopad. 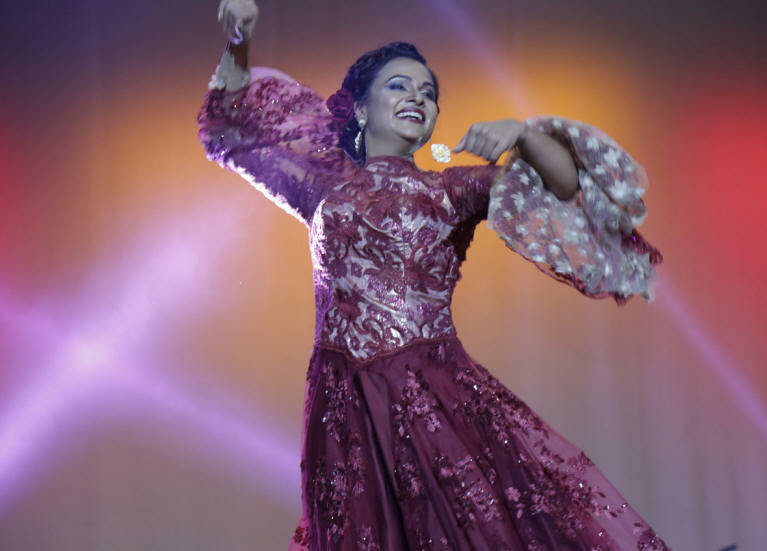 The crowd’s comments about Kaafila were effusive like: “par excellence”, “phenomenal”, “impeccable energy”, “very graceful” and “perfect expression” “never before have I seen this kind of jugalbandi” etc. 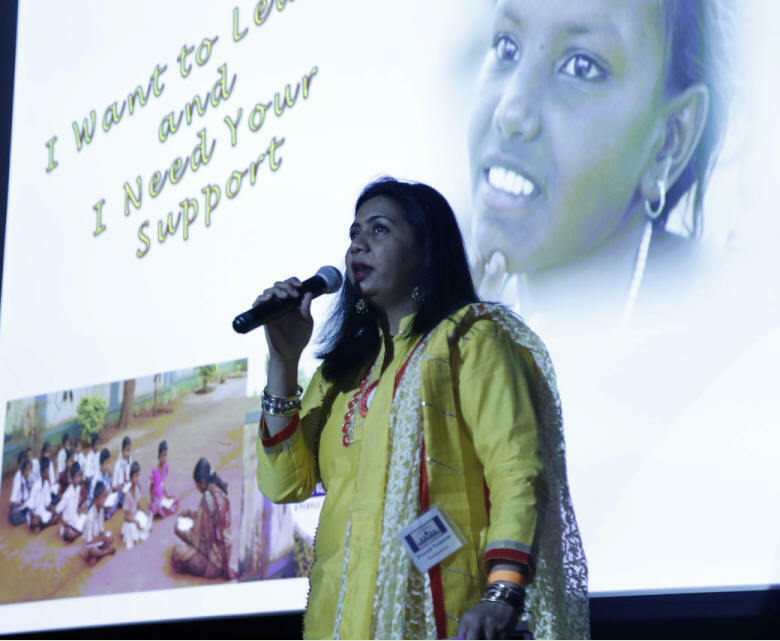 All in all, Aditi Bhagwat choreographed a wonderful, imaginative, and highly entertaining program for Ekal and helped the Atlanta Chapter raise sponsorships for 105 schools at the event to support the noble and praiseworthy mission of Ekal. She promised to return to Atlanta with another even better program. Ekal’s Office bearers and volunteers alike, too numerous to be individually named, worked tirelessly to efficiently serve dinner, chai, emcee the program, give overview and complete secure online credit card sponsorships. Since Aditi Bhagwat is on a national fund-raising tour for Ekal, the organization which opens a school in the sponsor’s name for only a-dollar-a-day or $365 for the whole year, this program is presented in other cities too, so those who missed it can still enjoy it at other venues. For details or Ekal School’s progress, please visit www.ekal.org and join the Ekal movement to change the lives of millions of children in remotest areas of India.